Thanks for the photos and numbers. If the "26" is indeed older than the "15" that shoots my theory down completely. Looks like both are "Gen 3" Northgates, and 26 is almost the highest number I've seen on the upper right. I'll keep gathering info and hopefully we can make sense of it all someday. 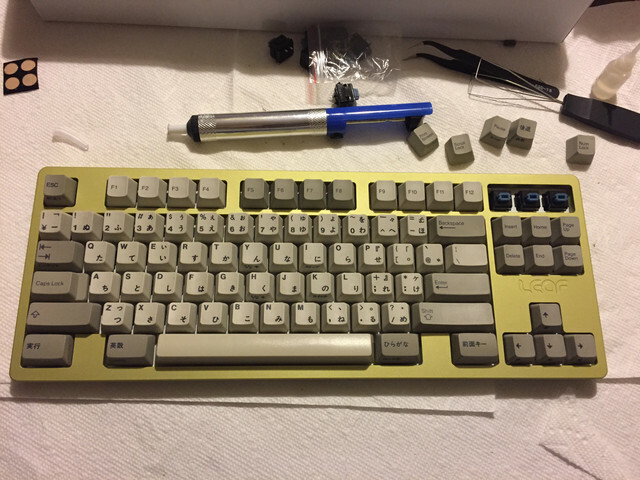 Did anyone try to compare SKCL Alps switches to Linear modded Alps switches? I want to know what the differences are if it's worth paying premium for Green SKCL switches. Yes, I've compared them side-by-side. I'd say just linearise some blacks tbh. They feel maybe not exactly the same, but just as good IMO, and they're much easier and cheaper to get - not to mention that SKCL green is the oldest switch in the series and SKCM black arguably the last, so it's much easier to get blacks in better condition. Besides, SKCM Black don't ping as much. Thanks for the information. But with feeling you mean the weight of the switch? Can you describe this if possible x). Yes, the weight is similarly light, but it's also similarly smooth (if both in good condition). The similarities aren't shocking tbh considering the switch' design. Ultrasonic cleaned this alps board. 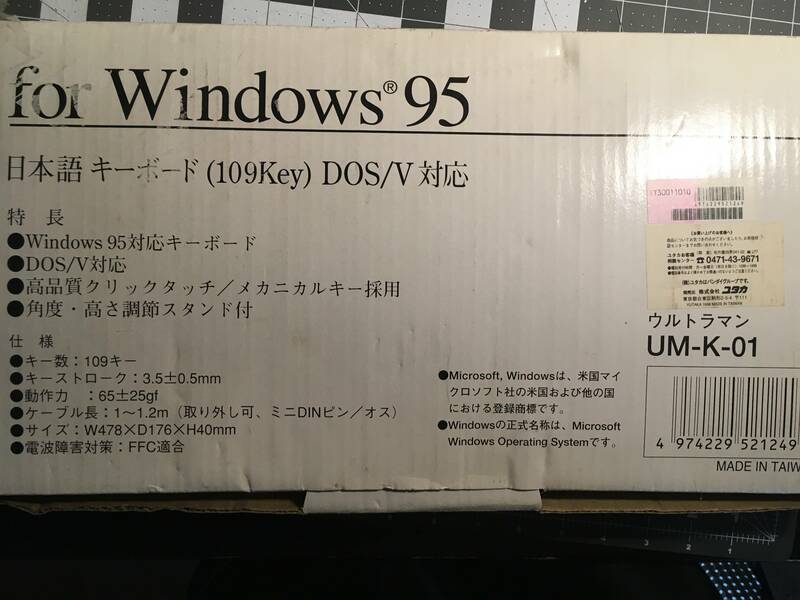 There was 0 dust when it arrived but the switches still are rather scratchy. 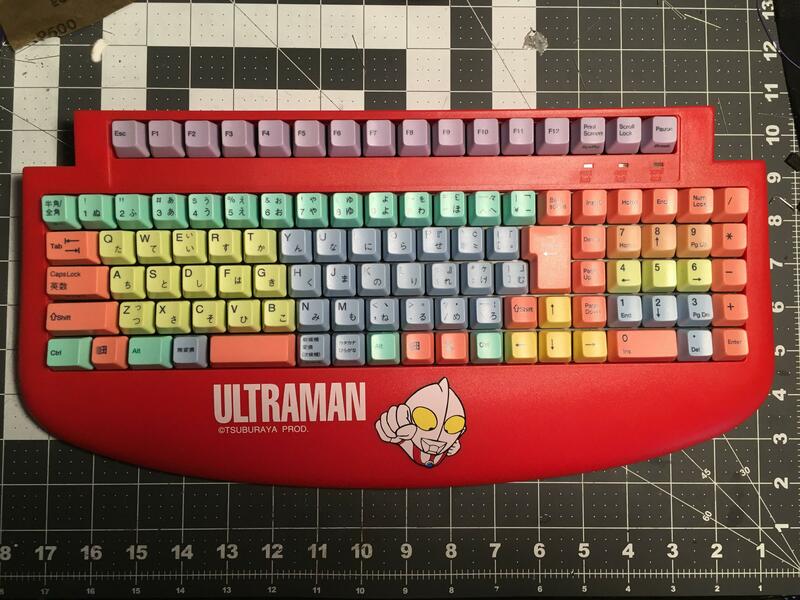 I really like this case so I will probably retrobright the case and make a custom plate/pcb with some leftover switches if I get around to it. One thing that is rather bad about the layout is the small space and I think due to the short distance the "barrel" for the spacebar is somewhat counteractive as I use the left hand to use my spacebar and have no problem on other boards. Here is another little treat for you! 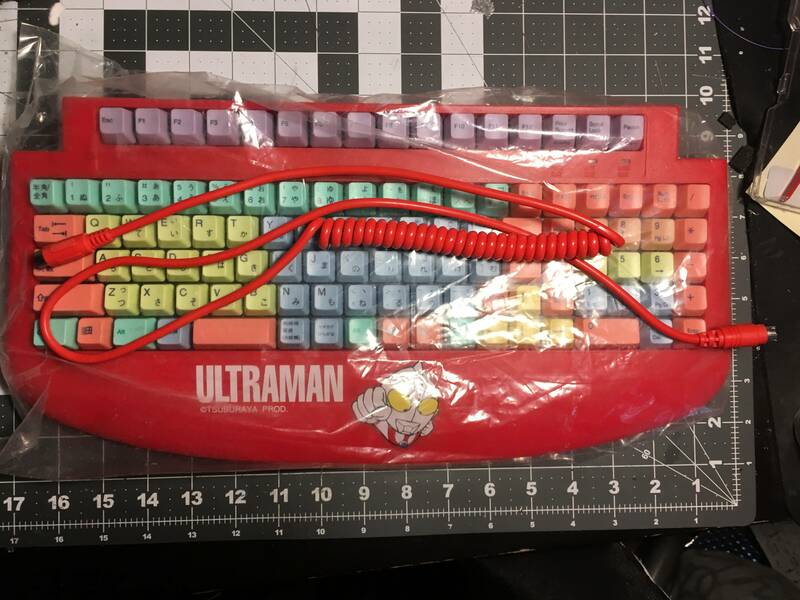 It's an offbrand Strong Man kids keyboard with the same FCC number! After using the Blue Alps that I got earlier last year, I must confess my views have changed. I now love this switch. So I just tried out something I've been contemplating and the results are promising. You can increase the tactility of linear alps switches by bending the leaf of the contact with promising results. I'm not able to do it for a full board but my initial tests are interesting, with a sharp and very tactile event, probably due to the angular nature of the bends that I am able to do with hand tools. 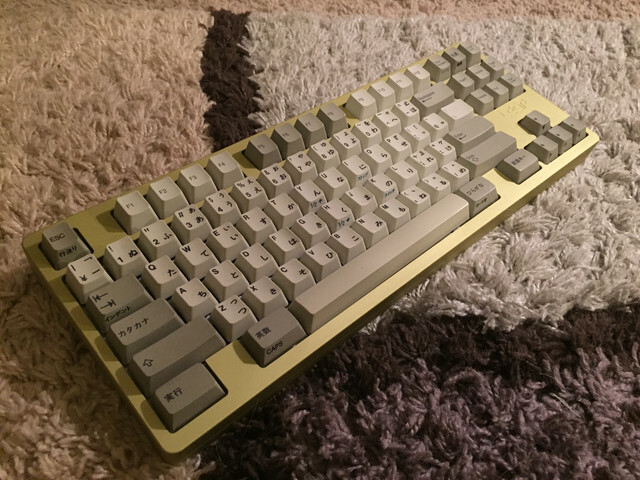 I would love to try replicating the shape of brown or lime alps on a contact leaf as it would let you have interesting tactile alps with an LED cutout or even tactile SKCC, which would be an absolute dream come true. Here is my leaf80 with SKCM blues! Looks very nice and clean. 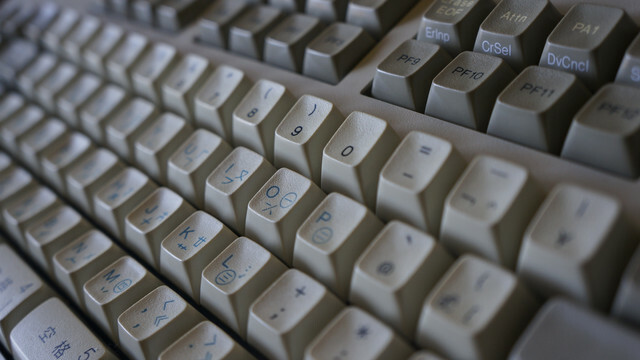 Are those key caps pad printed or double shot? What board are they from? It looks FANTASTIC. Thanks! 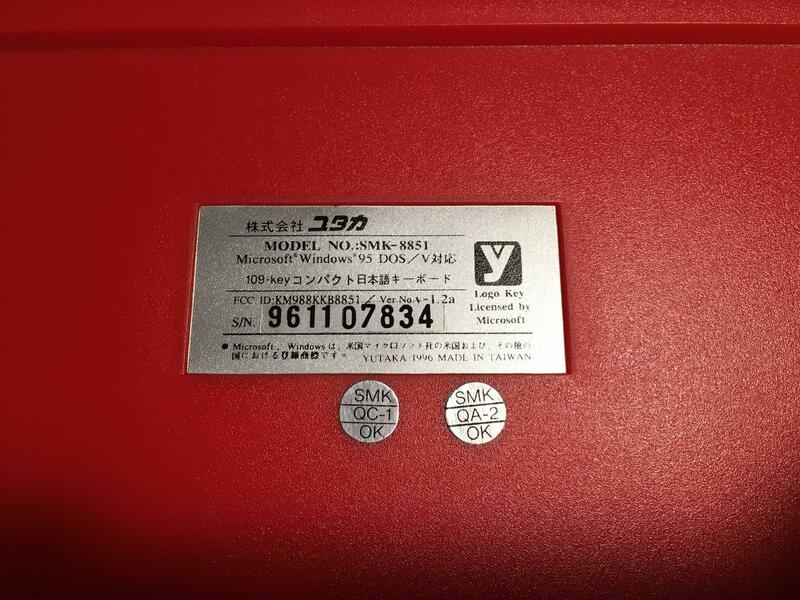 And yeah, as DatOtherJosh said, they are from a Japanese Multistation board! I knew it, I was hoping that was from an NEC board. 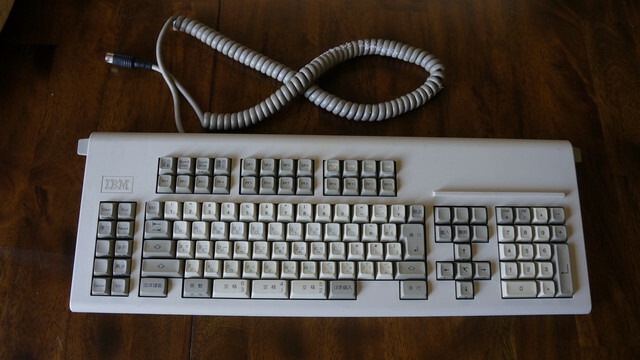 IBM Multistation is my holy grail vintage Alps board. RIP. Man those caps are fantastic! 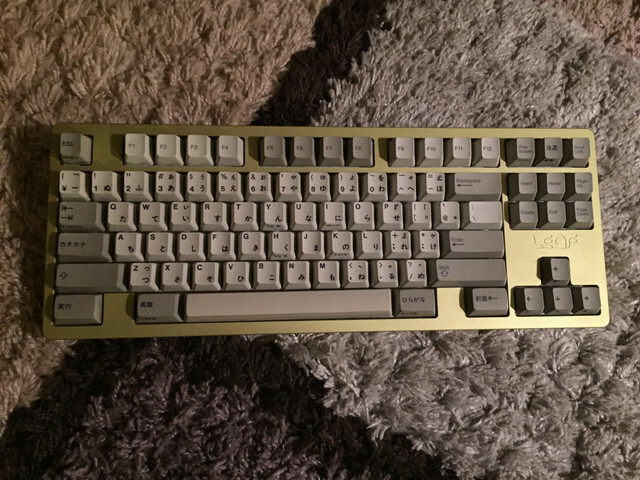 So I just got my first Alps board a few days ago, an Apple m0116 with Orange switches. The switches are really nice and the sound is awesome as well (although some switches seem to have turned clicky-ish, creating some inconsistency, is that a sign of heavy-use/deterioration? 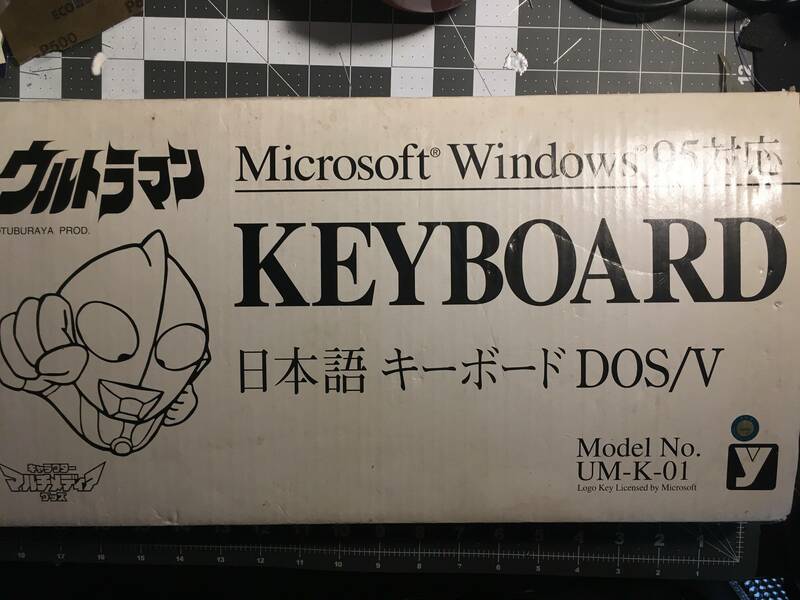 ), and if I didn't need N-key rollover I could happily use this for everything. I'm really happy and grateful Chyrosran put these on my radar, after 5 years of using Topre and being disappointed in new MX designs it's nice to find a switch that lives up to the hype. I have a problem though; I had the bright idea of swapping the D and F keys and J and K, as the non-standard homing dots drove me crazy and I touch type anyhow. Unfortunately, while taking off the K keycap, the stem broke and now half the stem is embedded in the slider. 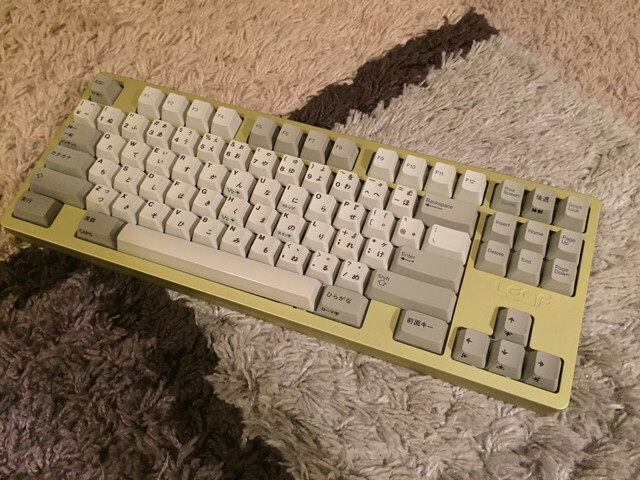 I'm not too upset, as I'll probably make a custom Alps build sometime in the future (I know people here don't like cannibalizing old vintage boards, especially a nice, unyellowed one like I've been lucky to get, but to have an Alps endgame I need N-key rollover and a better layout) and will probably have to get an AEK keycap set for that. But the question is if brittle Alps keycaps is a common issue, or if it's something wrong with my technique? Would like to know for sure before I proceed. I was using a wire puller and placing it diagonally under the keycap, and then I sort of did a lot of wiggling to try to get it loose, not using much force at all. Would it be better to not wiggle, and just using a lot of upwards force instead? Apple's non-standard homing drove me crazy too, how unfortunate about the stem breaking. I think plastic compression and tensile strength can be stronger than torque strength to start breakage, you have to consult Alps experts here on how to pull out stuck caps safely. Good luck for the end game pursuit, a sign of stepping into the rabbit hole. The best procedure is to use wire pullers and pull straight up. Alps stems are often damaged during shipping if not properly packed, unfortunately. The first time you remove them, it tends to take quite a bit of force, too, as the mount is quite tight. Subsequent pulls should be much easier though. You can push out the broken stem through the slider with some tweezers (through the other side). From there on, you have two options; glue the thing into the slider (meaning you can't open the switch anymore), or replace the keycap. My procedure is to use a wire puller, pull straight up, but at the same time with a wiggling motion of the wrist. 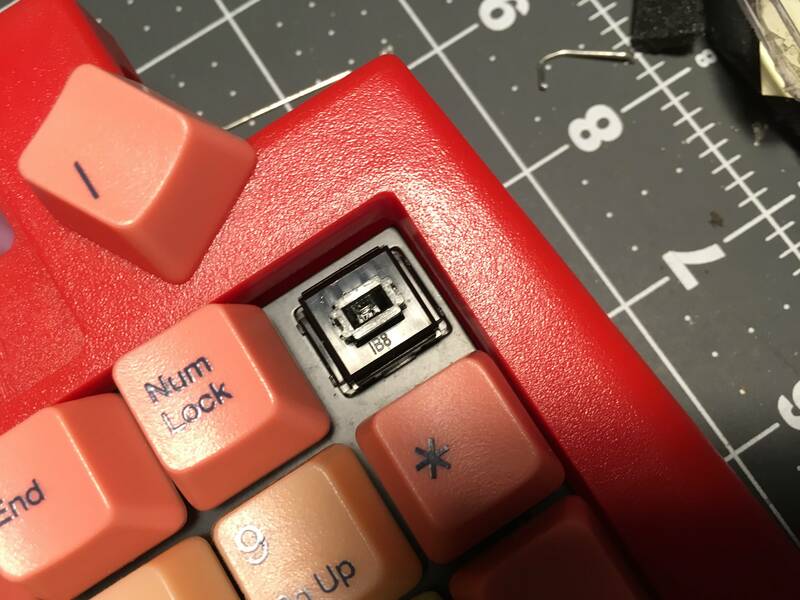 For particularly stubborn caps, I first pull with the puller oriented along one diagonal of the keycap and then the other -- for example, start with the puller on the northeast and southwest corners and then change to the northwest and southeast corners. Not everyone would agree with this procedure, but it has worked for me. Same here, unless there is a specific reason this method does not work with the particular switch. Thanks a lot for the advice everyone! You can push out the broken stem through the slider with some tweezers (through the other side). I opened up the switch housing, but the two tiny holes inside of the slider seem far too tiny to get any sort of tweezers through to push at the stem. I've been trying with a metal wire and some needles, but with no luck at pushing out the stem so far. Have I misinterpreted you? EDIT: Nevermind, managed to dislodge it!